Immortal Damen has finally been reunited with his long-lost love Ever, but is now suffering a curse that leaves him allergic to her bare skin. One touch from her will banish him to the Shadowlands, a murky underworld for lost souls. As Ever starts to search for a cure for Damen, she meets Jude, a hot surfer guy who works in a New Age bookshop. Just as Ever is on the brink of a breakthrough with a potion that might fix their problem, Damen admits to her that he knows Jude... that Jude has also been reincarnated many times over the years, always as a love interest for Ever. He decides that the only honorable thing to do is to stand aside, and give Ever a chance to get to know Jude better so that she can truly make a choice between them. For a guy who's been pining for Ever for centuries, Damen sure doesn't act like he's eager to be with her after all! One minor quibble I had with the book was the description of the Getty museum. I wasn't clear if Ever and Damen were at the Getty, or the Getty Villa in Malibu, and my brain kept switching back and forth between the two trying to visualize where they were. The way they drive up, it seems like the Getty Villa. The Getty is famous for the trolley car you must take up the high hillside. Yet, the exhibits and the view that are described really seem like the new Getty. I was distracted by this, but most readers who aren't familiar with Los Angeles probably wouldn't be. A number of the side-plots seemed compelling. 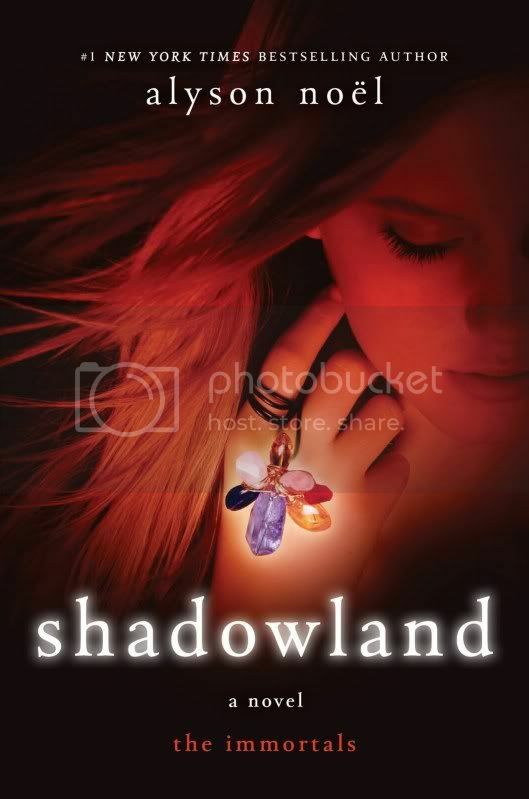 While visiting the Summerlands, a mystical realm where visitors can manifest nearly anything simply by the power of thought, Ever becomes acquainted with twins Romy and Rayne, friends of her sister Riley's ghost. When they accidentally get ejected from the Summerlands, they are taken in by Damen, who is attempting to swear off his materialistic ways. Miles, Ever's gay friend, is excited by his upcoming opportunity to perform in Florence, Italy. Ever is horrified by one of her teacher's crush on her aunt Sabine, but she finally comes around and decides that Sabine deserves a chance at romance, too. At the end of the book, Ever is deeply dismayed that her only chance to revive her friend Haven ends up leaving her Immortal as well. Haven, on the other hand, is delighted, saying something to the effect of, "This is exactly like being a vampire, but without any of the bad side effects!" I have to admit, Haven has a really good point. I wasn't really sure why Ever sees her immortality as such a curse. While there isn't a tremendous amount of forward plot movement in this middle volume to the series, it's an enjoyable read nonetheless.